Lots of rooms, lots of amenities, close to everything we needed. Enjoyed the BBQ out the back. We really enjoyed our Christmas stay at King William. The owners were lovely, providing a Christmas tree and card and chocolates and a bottle of wine. It is a great house for a family and very child friendly. A dishwasher would be nice. I cannot believe how quiet the street is. 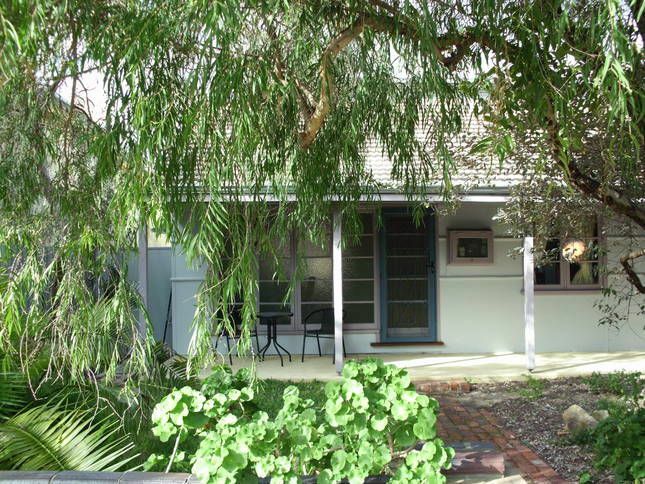 A fabulous location, near to supermarket, baker, coffee roasters and cafes and easy walk to the beach. We love Freo and this was one of the best properties we have stayed at. Dear Sue, thank you for your lovely review. We always love to welcome guests back to our property and should you return for a visit we would love to offer you a discount and try and make your stay even more enjoyable than the last time - supplying even more wine and beer! We are working on installing a dishwasher but are having obstacles with the distance from the space to plumbing (according to plumbers). Hopefully, it shouldn't be too long before one is installed. Good location. Easy public transport and close to city. We loved our stay at King William Beach House. This is our second visit & look forward to more in the future. It had everything we needed. Fully equipped kitchen, space foe everyone, 2 bathrooms, large dinning area & a fabulous BBQ. We could walk to the beach & free public transport made visiting the centre of Freo very easy. So many wonderful restaurants to choose from within walking distance. Beautifully decorated with lovely pieces of furniture. Thank you Richenda for accommodating all our needs & for being a fabulous host. We had a great stay at King William Beach House the location was fantastic and a great base for us easy access to public transport and beach not to far away. Richenda was very accommodating with our needs and made it a hassel free holiday.